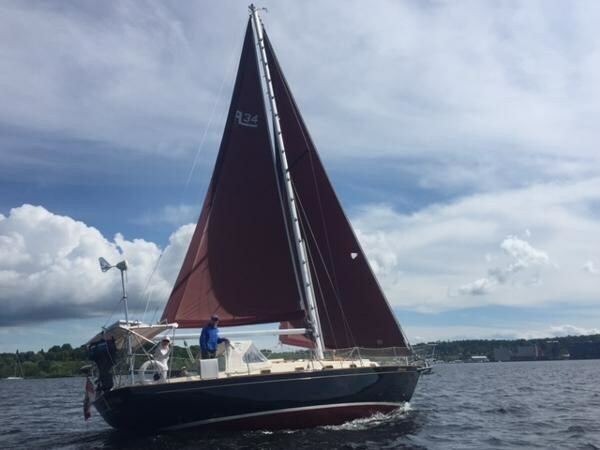 This is one of Carl Alberg's later designs & features fuller hull sections, more freeboard & beam which results in a very spacious interior without compromising the kind of performance associated with full keel blue water yachts. 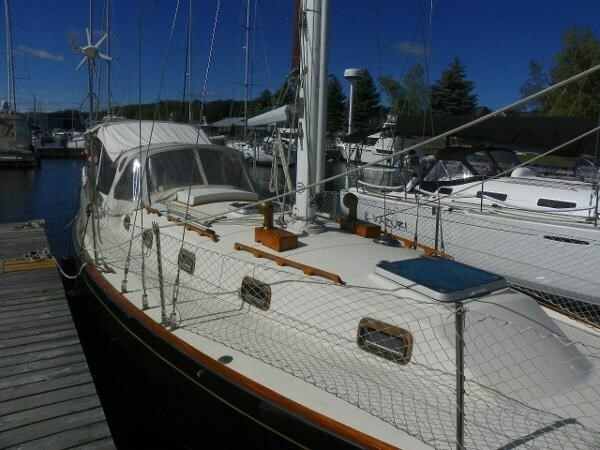 Adrianna has been outfitted with all the liveaboard amenities including wind & solar power, full cockpit canvas, Simpson Lawrence windlass & below deck autopilot. 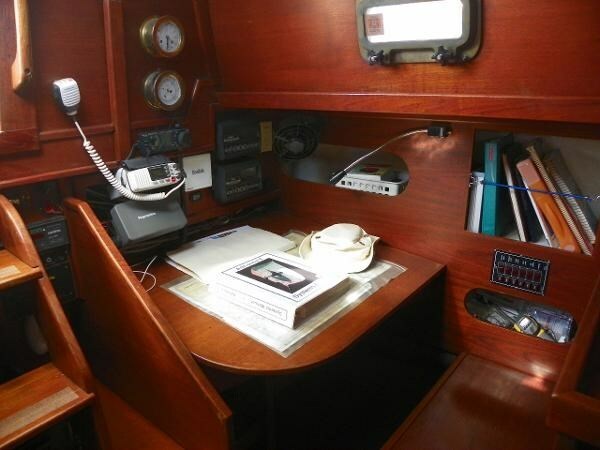 In 2004 prior to a trip south, the electrical system was professionally upgraded with high output alternator, large house bank of batteries, inverter & smart charger. 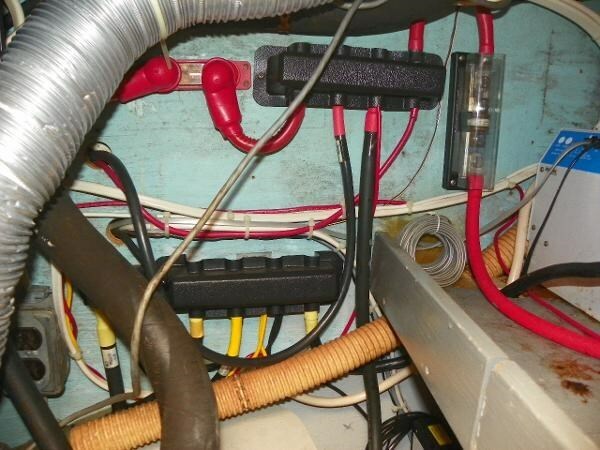 The high quality shows in all areas of this yacht. 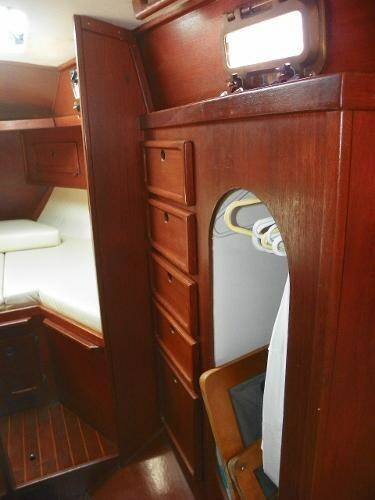 Beautiful teak joinery work, ultra leather upholstery, bronze opening ports & bronze self tailing winches. The hull was awlgripped black in 1998 & professionally polished in 2016. Bottom has a full epoxy barrier coat. 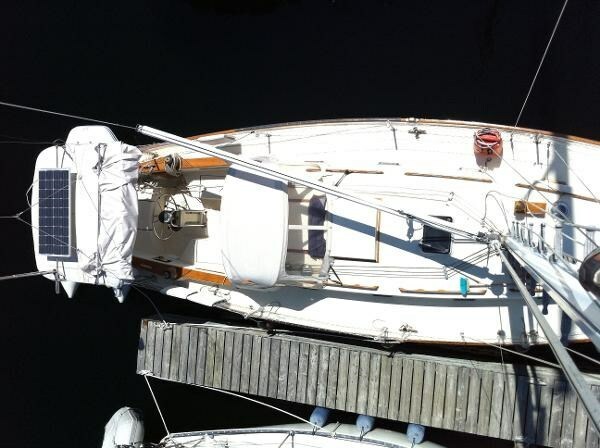 The sails were cleaned, re-furbished & given new UV covers this winter. 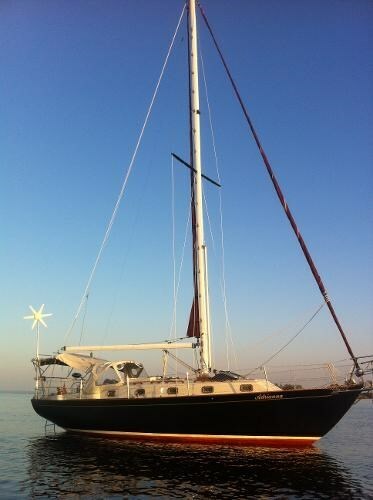 Adrianna II will appeal to a traditional minded sailor who values sailing quality and the aesthetic beauty of Alberg designs. 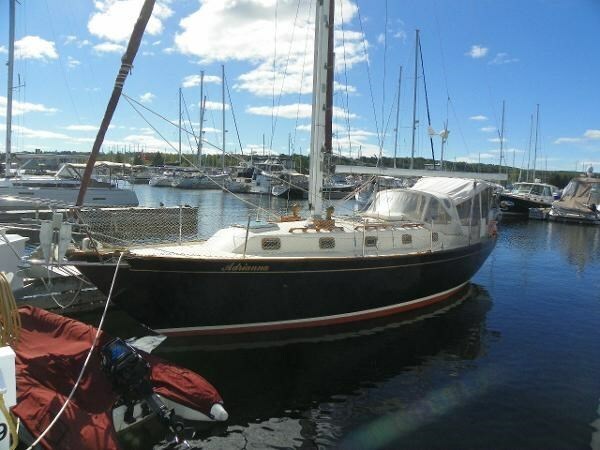 Folding steel cradle, custom winter cover & frame, 35 lb Delta & 25 lb Danforth, 100' 3/8 chain & 150' rode, outboard motor bracket & new stainless steel motor lift, EPIRB, 2 manual bilge pumps & 1 electric bilge pump, 6 Hella cabin fans, clock & barometer, safety gear, fire extinguishers, fenders & lines. 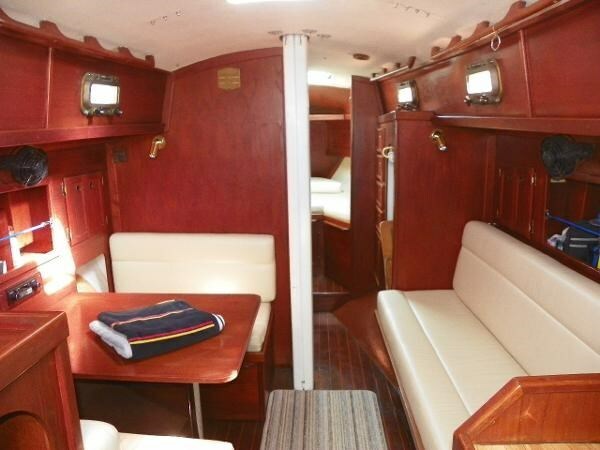 Full teak interior with Ultra leather upholstery. 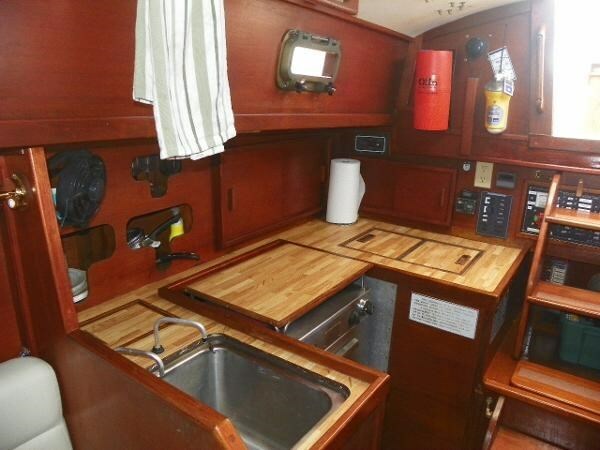 Galley features gimballed propane stove & oven, 12v Fridgiboat refrigeration with keel cooler (2004). Propane sniffer. 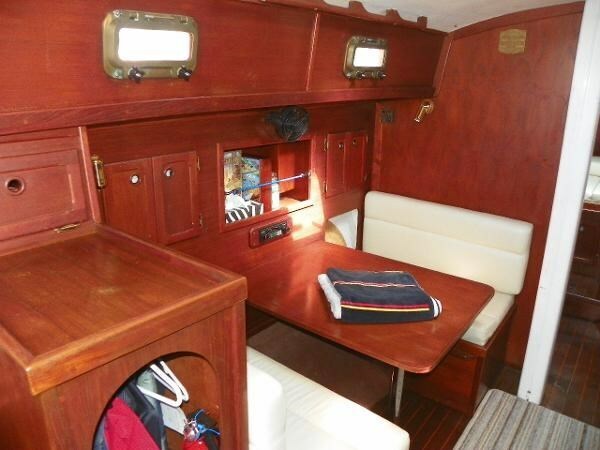 The layout has a spacious V berth forward, hanging locker to starboard, enclosed head to port. 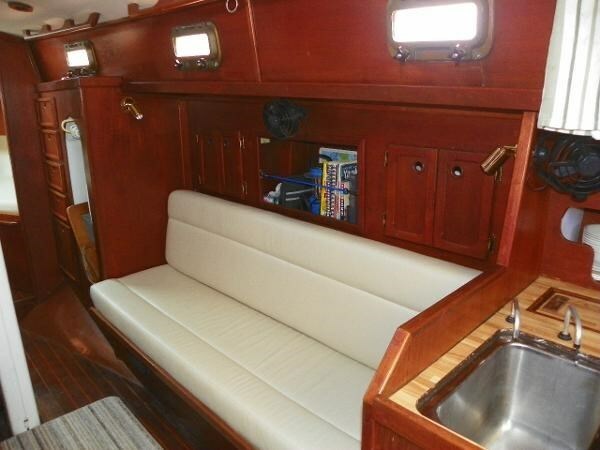 Starboard settee & port side dinette with storage above & behind seating. 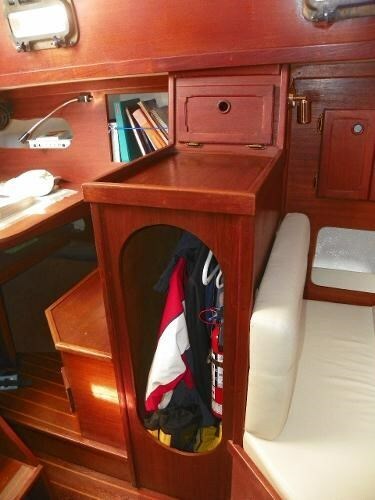 Wet locker & storage port side with navigation center directly aft. 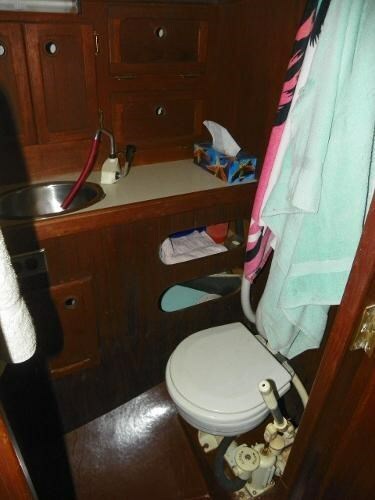 U shaped galley to starboard. 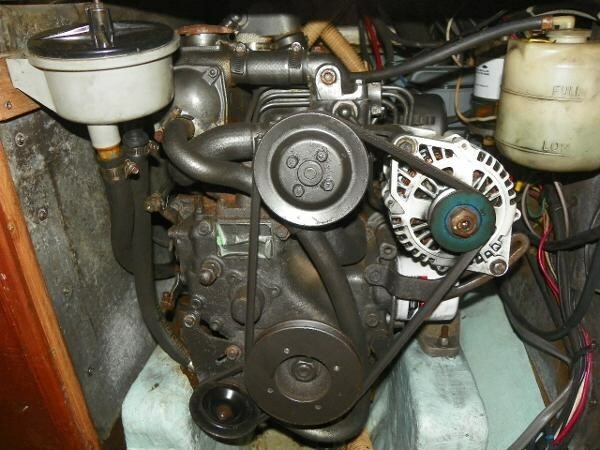 Espar diesel cabin heater with 2 ducts. Extended bow pulpit with dual anchor rollers. Double lifelines & gates with netting. Stern rail with boarding ladder. Tower for wind generator & bracket for solar panels. 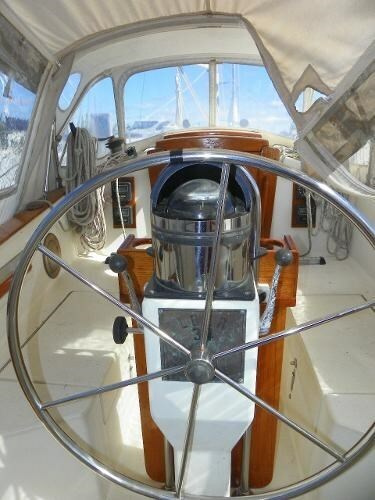 Simpson Lawrence manual windlass. 2 bronze vents on teak dorade ventilators. 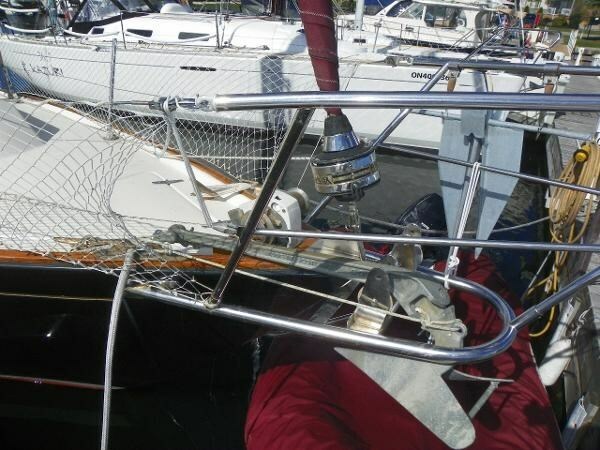 Furlex genoa furling system. 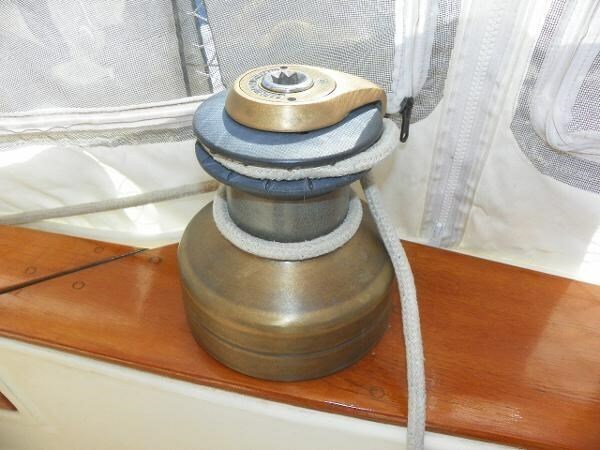 Mainsail furling gear. 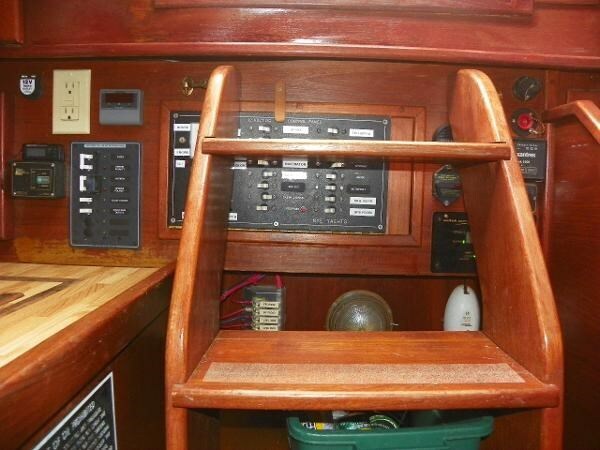 Mast steps to masthead. 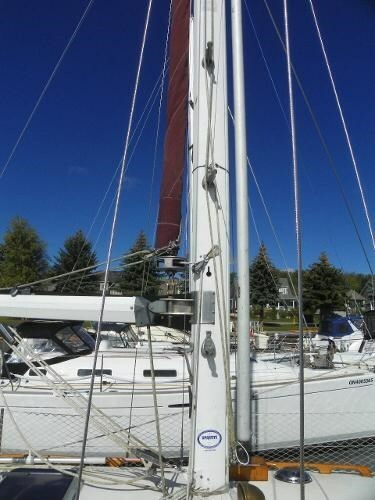 Tanbark mainsail & genoa. Working jib & storm jib. Standing rigging new in 2008. 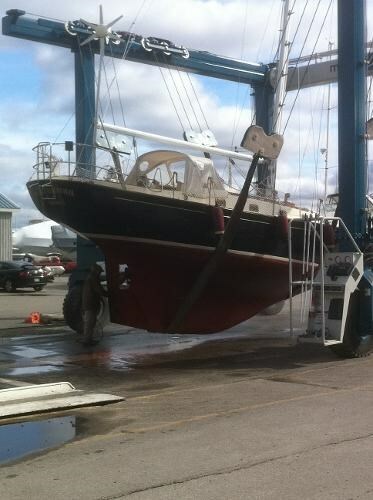 Bronze deck cleats, self tailing winches & Atkins & Hoyle opening ports. Masthead trilight. 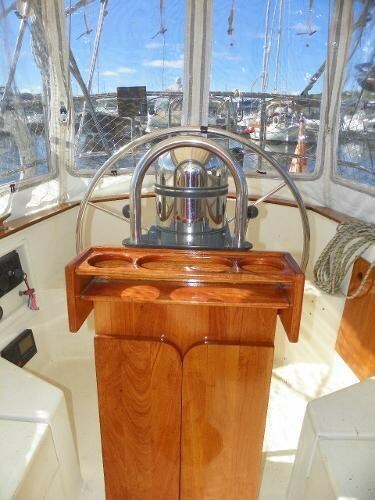 Pedestal steering with compass mounted on binnacle, varnished teak table & drink holder. Dodger, bimini & enclosure. Propane locker houses 20lb tank.